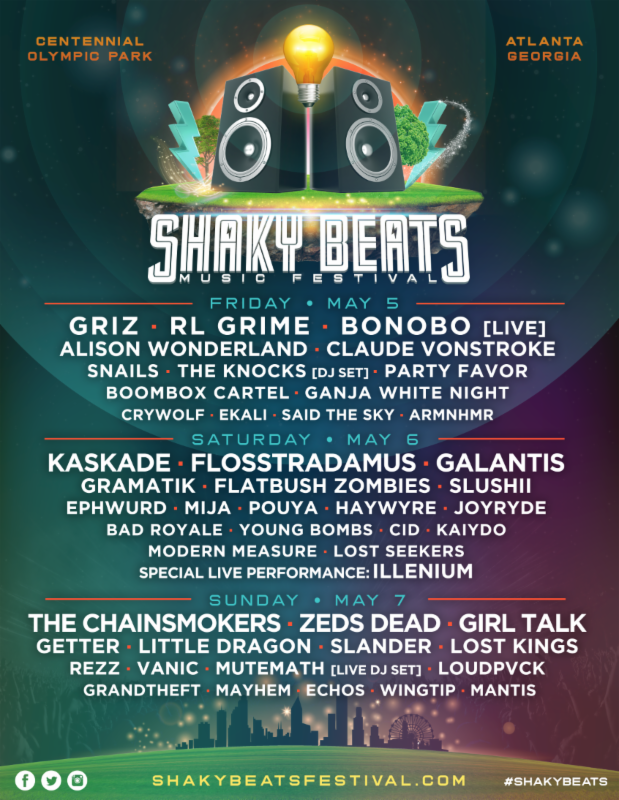 We already knew that electronic superstars like GRiZ and Kaskade were heading to Atlanta, GA this spring for the 2017 edition of Shaky Beats Music Festival. What we didn't know until today, though, was who would be performing when. 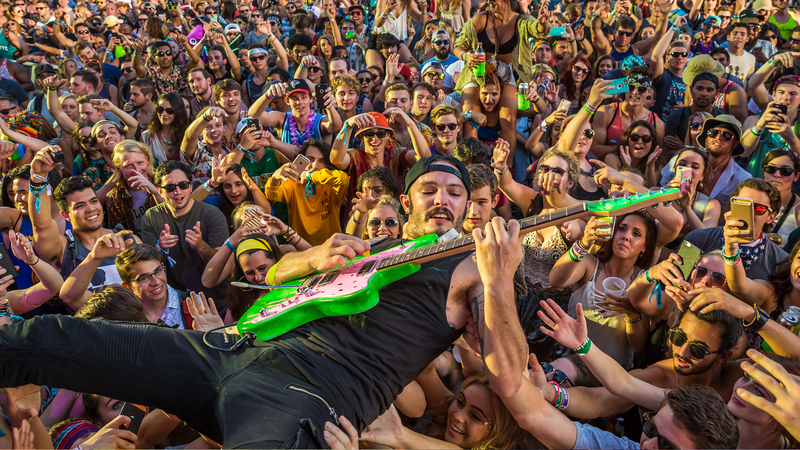 Announced earlier this morning, Friday will see a live set from Bonobo, with Flosstradamus and Galantis sharing the stage on Saturday, and the best Sunday ever with The Chainsmokers and Girl Talk headlining. With the By-Day lineup finally announced, we're ready to scoop up our tickets to the event, going down in Centennial Olympic Park May 5-7. That's why we're thanking the music gods that the second annual festival, put on by the same awesome people who bring you Shaky Knees, have made one-day tickets available now, too. That's right, you can head over to the fest site here to scoop up you single day tickets (starting at just 90-dollars for General Admission). Check out the entire lineup below to see why we've already planned what we're doing the first weekend of May.